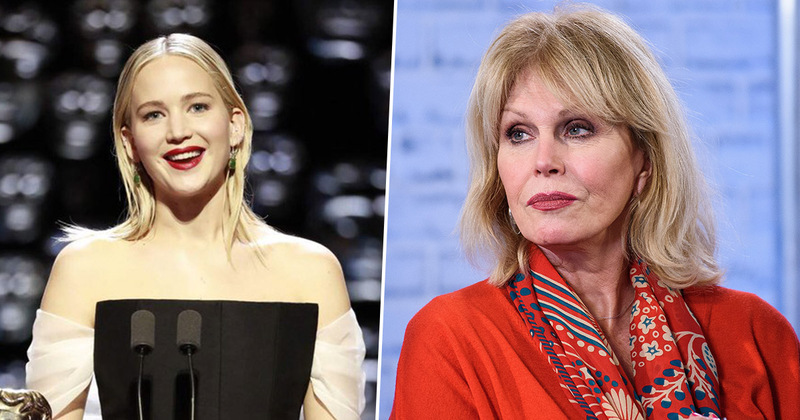 Jennifer Lawrence appeared to be unimpressed by Joanna Lumley’s introduction at the BAFTAs – and fans of the Absolutely Fabulous legend were not happy. Lumley, who took over hosting duties from fellow legend Stephen Fry, was introducing Lawrence to the stage to give out the award for Outstanding British Film. But the 27-year-old Hunger Games star didn’t seem to like how she was introduced. Right let’s start giving out some of these beautiful BAFTAs shall we? And we start with the award for Outstanding British Film and who better to kick the whole evening off than the hottest actress on the planet. Soon to be seen in Red Sparrow, it’s the ravishing Jennifer Lawrence. Hi, that was a bit much, but thank you Joanna. Now, I think it was more-than-likely a funny, sarcastic remark. Lawrence comes across as being humble and we all know she has a sense of humour, based on past interviews – so perhaps it was just a bit of a joke. Viewers however, did not think so. Some were outraged at the apparent ‘shade thrown’ at Lumley. Wow seriously Jennifer Lawrence needs to lighten the F up. Joanna Lumley gave you a compliment calling you ravishing and you knocked her back like a right stuck up cow. Take the compliment. Jesus Christ! Ungrateful much! I’d love a compliment from Lumley. How rude was #JenniferLawrence to @JoannaLumley just then!!! #BAFTAs ???? But do have to say that #jenniferlawrence was very rude in her comments to #JoannaLumley @ #BAFTAs uncalled for. Puzzled by everyone accusing Jennifer Lawrence of being rude to Joanna Lumley. Joanna introduced her as being the ‘hottest actress on the planet’ & ‘ravishing’. Jennifer laughed and modestly described the compliment as a ‘bit much’ but thanked her for it. How is that rude? Puzzled by everyone accusing Jennifer Lawrence of being rude to Joanna Lumley. Joanna introduced her as being the ‘hottest actress on the planet’ & ‘ravishing’. Jennifer laughed and modestly described the compliment as a ‘bit much’ but thanked her for it. How is that rude? ?